I made this today. 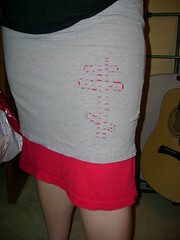 It required hand-sewing… which I am not very inclined to do, but it’s nice. I got the pattern from this book. I checked it out from the library, but I would love to have my own copy. There are some pretty darned cool things in it. 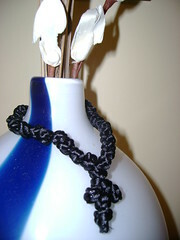 And I finished this prayer rope that I’d been working on for a while.